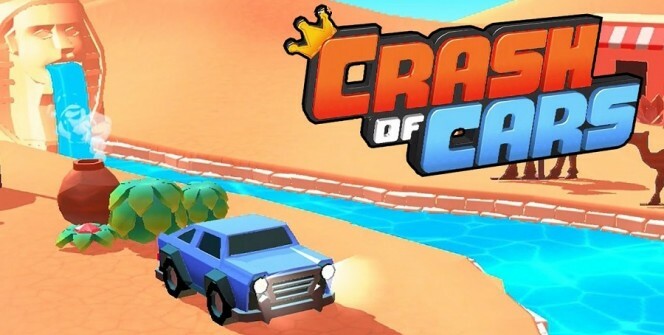 Developed by Not Doppler, Crash of Cars is a real-time multiplayer racing game that requires you to collect crowns as you avoid being destroyed. You are supposed to unlock cars, customize them with skins and explore maps as you collect power-ups, damage opponent cars & steal their crowns and climb the leaderboards. The game is compatible with iOS and Android systems, but it can work with a PC with the help of an Android emulator. 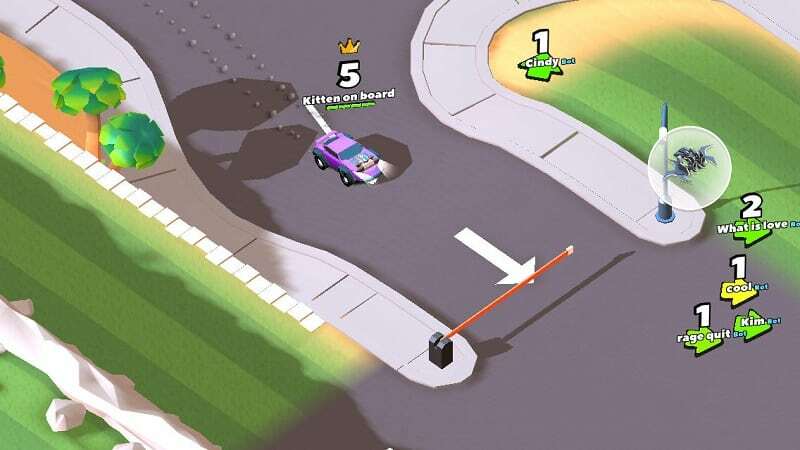 Before you start driving, you need to click on the Play button and you will be taken to the arena where you will find your opponents. To move your car left, you need to tap on the left side. This means that tapping on the right side will move your car right. To move slowly, you need to make light taps, and to make a full turn, you need to tap-and-hold for a certain period of time. If you want to make your car move in a circle, you need to hold constantly on the screen. To reverse your car, you can hold two fingers on opposite sides. Crowns can be collected by just driving over them, and you can know the number of collected crowns on the crown count. Most crowns fall from the skies, so you need to pay attention to these items to identify the ones which are crowns. Damaged vehicles also scatter out crowns, so ensure that you drive over destroyed vehicles to collect these valuables. Apart from crowns, there are other valuable items that appear on the road. For example, there are blue floating boxes that you can drive into and get some rewards. In Crash of Cars, the maps are usually complex, and so you need to understand them in order to have easy time in this game. A name above an arrow shows where your opponents are located while a number above an arrow shows the number of crowns accumulated by your opponents. If the arrow is green in color, this shows that your opponents have a lot of health points (HPs) in them. If the arrow turns red, it signifies that your opponents are running short of HPs and can be destroyed anytime. A crown over a number or arrow shows that your opponents are the crown leader and you need to catch up with them. Moreover, gray icons on your car show the missions you need to complete. Some of these missions may require you to destroy vehicles instead of gathering crowns. Some objects that can damage your car include: trees, rocks, statues, cliff, flies, water and red barrels. You can avoid most of these objects by making a big leap or driving along the edges. When it comes to protecting yourself from opponents, you need to escape opponents that try to back up into you. And you can always escape through evasive maneuvers. In order to download this racing game on your computer, you need to have an Android emulator installed on your PC. With the emulator on your Mac, desktop or laptop, you can install the game app on your computer. Sometimes when playing Crash of Cars, bluestacks ask you fee to pay but gives you option to download some apps. Every time it asks you just select “Install apps” and continue using it free. I hope you enjoyed this article, please rate and share. 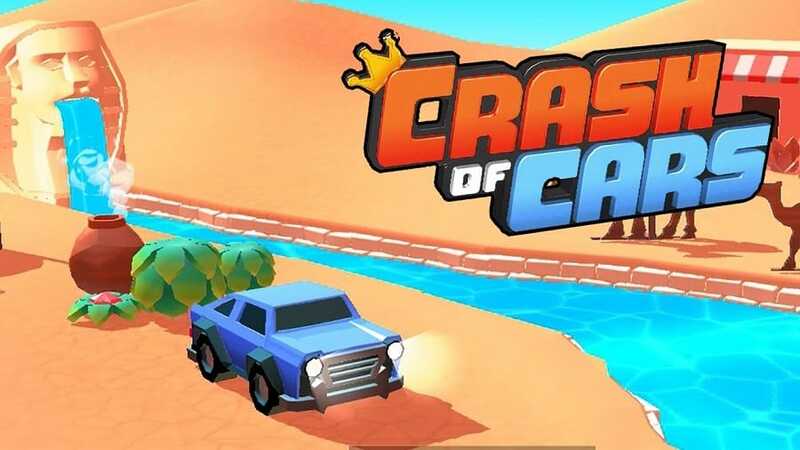 If you have problems running Crash of Cars on desktop or any other issues, leave a comment below.